UCEED is an entrance exam for admission in B.Des programme in IIT- Bombay, IT- Guwahati, and IIITDM – Jabalpur. Bhanwar Rathore Design studio is the leading design coaching institute in the country. With more than 156 selections in CEED/UCEED, BRDS had produced the best results in the country in CEED / UCEED. 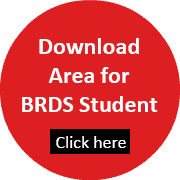 BRDS has 4 centres in Ahmedabad Drive In, Satellite, Maninagar and Bopal that provide the best UCEED Coaching in Ahmedabad. BRDS has alumni’s of prestigious institutions like IIT,NID, CEPT as faculty etc who are experts in various fields of design, and give students an in-depth understanding of the subject from the entrance and industry requirement point of view. Students have an opportunity to attend a demo class by taking a prior appointment at our centre and know more about our facilities, course material etc. BRDS also conducts events like fashion show, design hunt, interior design show etc annually , to enhance students knowledge and subject understanding. We encourage students and parents to visit our Centres to have a better understanding of the quality of services and facilities provided, along with other features which makes us the best institute providing UCEED Coaching in Ahmedabad.